Time to move on from this year's Six Nations but here's a final thought. I wonder what the stats are for a team failing to win a Grand Slam at the final hurdle? 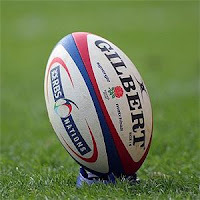 I can think of 5 occasions since the first Six Nations in 2000 that England have lost a grand slam decider - 2000, 2001, 2011, 2013, 2017 - and only 2 occasions were they have claimed the ultimate prize (2003 and 2016). And there were also a few occasions in recent memory in the old Five Nations where that final barrier proved a little too high for the England. What this says about the English psyche is anyone's guess.